This is an entry from a blog I authored several years ago. Sometimes it’s good to take a trip back and revisit difficult times so as to see the work of His hands since then. I am grateful for my journey. All of it. The horrific chapter that almost became the final scene and the stories of real and deep love, joy and laughter, and every chapter in between, before and after. 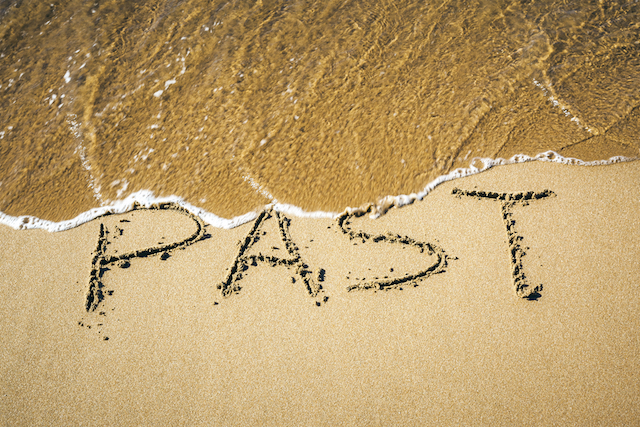 I believe in visiting the past for a short time to work through and grow, because if we don’t, the past will show up in our present and cause it to be less than it was meant to be. Big question of the day: Can I really trust God if I don’t fully believe He loves me? Nope, and therein lies the problem. My big, bad wolf is that I don’t believe anyone can love me unconditionally – even the Big Guy. Deep down I have always believed that I’m not worth loving that way. The thing is, is that to trust someone kind of requires that you need some proof, and proof only comes when you go through junk together. And sometimes when you go through the junk, the way you go through it or come out of it, isn’t the way it happens in the movies. I know that sounds cliche’, but it’s still true. I understand that sometimes terrible accidents happen, cancer or other terrible illnesses strike, financial junk, etc., but what about when all of the people you’ve come to trust and depend upon choose to pull away just when you need them most? What about being the “strong” one that everyone leaned on and when, for the first time in your life, you need to do the leaning, your inner circle disintegrates? What do you do when the person closest to you steals your reality when you are at your lowest point? What about when you cry out to God and beg Him to be real to you and help you through this awful extended darkness and you hear nothing… for years? What about when you start to “feel” Him again and things are getting so great and then you find out you were right… No one can really love you sacrificially? Do you fold? Do you try to trust Him after He just let all this horrible stuff happen to you? Can you believe He loves you? Sometimes the most painful experiences are the only things that create trust and force us to accept His love. I used to be really irritated by this woman who lived in my old neighborhood, went to our old church and had a son who was friends with my twins. She never did anything with abandon. She was kind of a Stepford wife, you know? She got a new car every other year and she alternated between white and tan. Her house was all painted beige. She never risked anything. She always seemed a little afraid of everything. She would ask our mutual (seeking) friends what their doctrine was and junk like that when they didn’t even know if they wanted to visit a church or not and probably didn’t know or care what doctrine was. She drove me crazy! I remember wondering why everywhere I lived or spent time, God always placed one of “those” people in my path. We are all one of “those” people to some extent. Some of us just hide it better than others, some don’t hide it at all, some don’t even realize there is a problem, nor do they want to. Some of us have looked the things we fear the most, right in the eye, and survived because of His love and we just trust Him a little more than we used to.